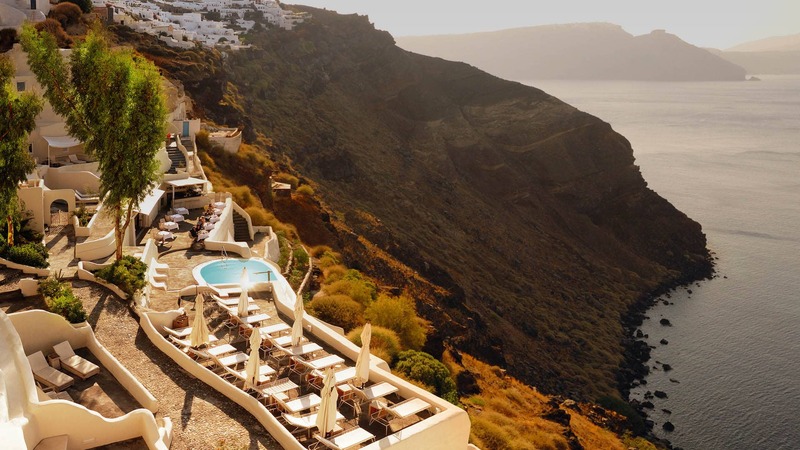 Carved into the rugged Caldera cliffs, Mystique, a Luxury Collection Hotel, overlooks the turquoise expanse of the Aegean Sea that encircles the island of Santorini. A favored destination for honeymoons and romantic escapes, Mystique emanates a carefree spirit, imparting an understated, exclusive feel, so reminiscent of the spectacular location. Linked by a network of cobbled pathways, all 40 suites and villas boast panoramic sea views across to the active volcano that has shaped this exceptional island. The volcanic island of Santorini is a major attraction because of its energy and mystery. A massive explosion, that happened thousands of years ago at the Aegean Sea, created the biggest Caldera in the world, now offering an amazingly beautiful scenery with the most awe-inspiring views on earth.